Abbott's emphasis on the 'Anglosphere' as the focus of Oz's foreign policy confirmed suspicions that Australia saw itself as a Western colonial outpost in the Asia-Pacific. 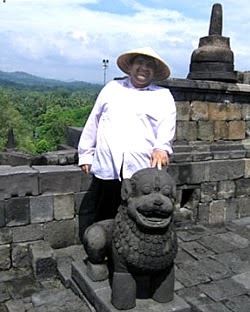 Indonesia has withdrawn its ambassador from Canberra following revelations that Australian intelligence operatives bugged the phones of President Susilo Bambang Yudhoyono (SBY), his wife and a number of senior ministers in August 2009. Details have only been released recently by the Guardian newspaper and Australia's public broadcaster ABC. It was part of the intelligence information revealed by Edward Snowden, former contractor to America's NSA. Prime Minister Tony Abbott is publicly downplaying the issue. But surely he knows just what a huge diplomatic disaster this is. Indonesia is Australia's closest neighbour, and two-way trade between the two countries last year amounted to A$15 billion ($16.9 billion). In Parliament, Abbott some days back described Indonesia as an "emerging democratic superpower in Asia" (perhaps distinguishing Indonesia from the not-so-democratic China). Abbott also described SBY as "one of the best friends that we have anywhere in the world". Abbott's stated respect for Indonesia has not, however, been reflected in Australia's recent dealings involving asylum seekers which have largely been driven by partisan domestic political considerations. The Abbott asylum policy, reflected in the simplistic formula of "stop the boats", could only ever work with the co-operation of Indonesia. The policy is being treated as a military operation, as if 50 dishevelled asylum seekers on a boat somehow represent a security threat requiring a 3-star general. The secretive implementation of this policy, with the Immigration Minister and the general providing vague weekly briefings to journalists, reached such heights of stupidity that Australian journalists found more information about the policy from their Indonesian colleagues at the Jakarta Post than from their own Government. Time and again, Indonesian officials expressed frustration with Australia's unilateral approach to the issue of asylum seekers which affected both countries. Abbott's policy included the Australian Navy turning back tiny fishing boats carrying asylum seekers "when it is safe to do so". The fishing boats would then return to Indonesia. Abbott insisted that Indonesia would co-operate, ignoring Indonesian concerns about both the human rights implications and of the immense social pressures this would have on the more crowded and poorer nation. It was as if Indonesia was at Australia's beck and call. Tony Abbott's emphasis on the "Anglosphere" as the focus of Australia's foreign policy confirmed commonly held Asian suspicions that Australia saw itself as a Western colonial outpost in the Asia-Pacific region, as the deputy sheriff of the United States. Australian politicians of all political stripes are so focused on the West that they forget their own geographical location. Understanding of Asian cultures in Australia is poor. Indonesian language instruction, once a primary feature in Australian secondary schools, has all but disappeared. The Australian Department of Foreign Affairs and Trade does an excellent job running cultural and other exchange programmes, but these are to build person to person contacts, not replace the bilateral policy process. We are in a better position than Australia. This issue [boat people] could be utilised as a bargaining chip in demanding an apology from Prime Minister Abbott. Abbott's response has been to virtually scoff at any suggestion of an apology. Every government gathers information and every government knows every other government gathers information. When he retired in 2004 Indonesian spymaster General Abdullah Mahmud Hendropriyono revealed his agency had not only tapped Australian civil and military communications and politicians' phone calls during the 1999 East Timor crisis, but had also unsuccessfully attempted to recruit Australian officials as double agents. The official Australian response at the time was muted. All this fracas coincides with a visit to Jakarta by Mark Rutte, Prime Minister of the Netherlands. Indonesians don't exactly have fond memories of Dutch colonisation which began in the 16th century. Following Japanese occupation during World War II, Dutch forces attempted to re-establish colonial rule. Most Western countries supported Dutch claims. Australia's Labor government under Prime Minister Ben Chifley openly supported the nascent Indonesian nationalist movement. Why did Australian leaders at the time support Indonesia, even going to the extent of criticising their closest ally, the US, for supplying material and moral aid to Dutch forces in the archipelago? Simply because Australia realised that its security and its national interest lay in an independent, strong and proud neighbour. Indonesian independence reinforced Australian independence. 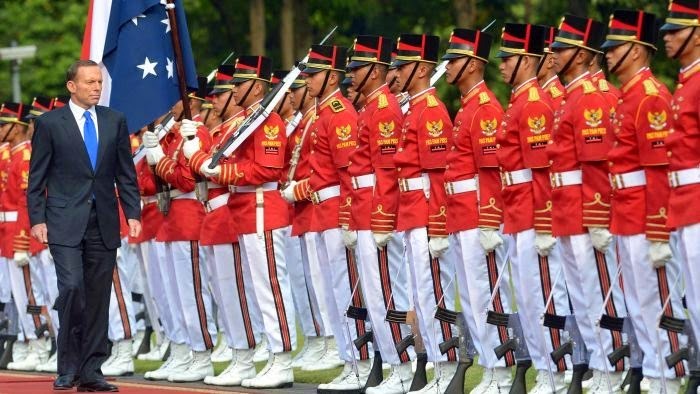 There are still some in Canberra who see Indonesia as a potential threat. Which is all the more reason to keep Indonesia on side. You keep your friends close and your potential enemies closer. • Irfan Yusuf is a lawyer and an award-winning Australian author. This article was first published in the NZ Herald on Friday 22 November 2013. There was a time when the Liberal Party stood for the "forgotten people", the people who didn't have a union or truckloads of cash and capital to back them up. Vulnerable individuals. The 2014 budget hasn't given young and future voters much to cheer about. A swag of youth-related programs have been slashed, especially in regional areas. Often these are places where businesses are shutting doors, where workers are being laid off and where the only jobs available often involve flipping burgers in return for a few dollars. And if you are unlucky or too depressed to do this kind of work, you may find yourself with no income source for six months. Apart from your parents, that is. Conservatives are all about family values, you know. You might choose to study. No upfront fees! What a bargain! And enough debt to make getting married, having babies and putting a roof over their head almost impossible. But that seems like ancient history today. There are plenty of vulnerable individuals today, especially with union membership falling. But instead of providing opportunity, modern Australian liberalism is all about kicking vulnerable individuals in the guts. 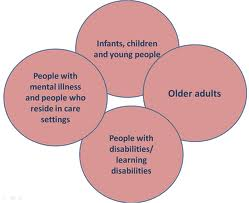 So to whom can young vulnerable individuals turn? What should they do? Jostle a few past and present female MPs? Hold placards upside down on national TV? Hiding in the detail of Joe Hockey's 2014 budget is a clue. Young people could do with a dose of good old-fashioned religion. An injection of taxpayer funds to empower God is what's called for. John Howard injected $90 million into a pastoral care scheme. Howard knew public school teachers were spending too much time sorting out the great unwashed kids whose parents were too selfish to invest in decent grammar school education. Too much money for beer and cigarettes, and not enough for chapel, Latin classes and rugby. Money for wealthy public schools also got shared among the poor struggling private schools. The result was that all schools could claim funding under the National School Chaplaincy Programme. The initiative had its critics, but generally the education sector welcomed the additional resources. Also happy were the chaplaincy providers, most of whom were faith-based. Here was a chance to spread the word. [I]n Australia we have a God-given open door to children and young people with the Gospel. Our federal and state governments allow us to take the Christian faith into our schools and share it. We need to go and make disciples. This missionary zeal was nothing new. Back in the 1980s my school was making us year 10 boys spend one hour each week for an entire term being indoctrinated by Francis Schaeffer's How Should We Then Live?. This series of videos presented the European Enlightenment as an atheistic tragedy, the French Revolution as a series of guillotines (OK, he got that one right) and modern "secular humanism" as responsible for everything from the Holocaust to the Chinese Cultural Revolution. Schaeffer's solution? Bring God back into public life, into the public square, into government. Spoon-fed theocracy. That's where my parents' school fees went. Seriously, though, the chaplaincy scheme is a good idea so long as governments recognised that not everyone believes that the Son of God was sent to die for our sins. And that some youth problems are too tough even for prayer. The very hint of the Commonwealth funding direct preaching in schools (even if this isn't generally the reality) doesn't sit well with voters. Even if Chris Pyne and Tony Abbott scream until the Christ comes home that states and territories are funding less godly counsellors and psychologists. Which is exactly what is happening. An extra $245 million has been found in the budget for the chaplaincy program. But schools don't have the option of having a not-so-religious social worker to fill the role. When it comes to our kids' pastoral needs, at least God has the Commonwealth on His side. But not in other areas of school life. Chris Pyne has already indicated he wants a reviewed curriculum for schools which puts emphasis on Anzac Day and our Western civilisation. God's children mustn't be pacifist and certainly mustn't have a black-armband view of the past, even if His son was a Palestinian Jew. The culture wars are alive and well in our schools. God help our kids. Irfan Yusuf is an author and PhD candidate at the Centre for Citizenship and Globalisation at Deakin University. First published in the Canberra Times on Saturday 24 May 2014.